I decided to try some swarm trapping this year and made a trap out of a used 8-frame super. 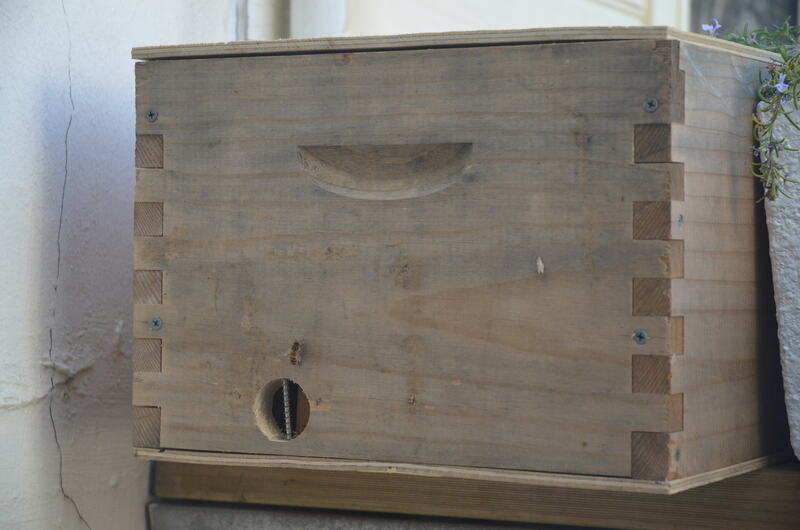 The book I read said to use old timber and if possible, bee-used timber to give it the smell. Apparently the correct pheremone smell to add is lemon grass oil so I added that as well. The box contains one old black comb and some very average frames with follower strips. I placed it in a shaded area in my backyard and there has been a constant stream of scout bees going in an out over the last few days … it feels a bit like fishing, waiting for a nibble.